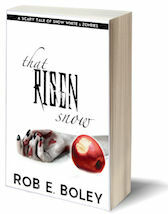 CLICK THE IMAGE ABOVE TO BUY THAT RISEN SNOW ON AMAZON. Now a deranged zombie, Snow infects both the Prince and the seven dwarfs’ leader. That leaves the young dwarf Grouchy, who is secretly in love with Snow, to find a cure for her malicious curse. So begins an epic journey that pits the lovesick Grouchy against dwarf-hating human soldiers, Snow’s ever-growing zombie horde, and his own bad temper. Snow is hell-bent on spreading her horrid curse across the land, and it’s up to Grouchy to stop her before it’s too late. Click here for full size cover image. Watch the book trailer below! 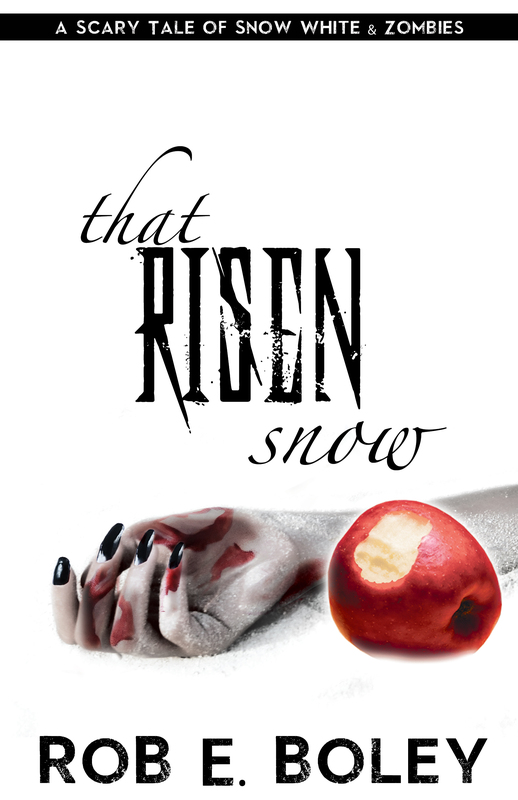 “That Risen Snow and That Wicked Apple make a deliciously diabolical tale—part Walking Dead, part turned-on-its-ear fairy tale. 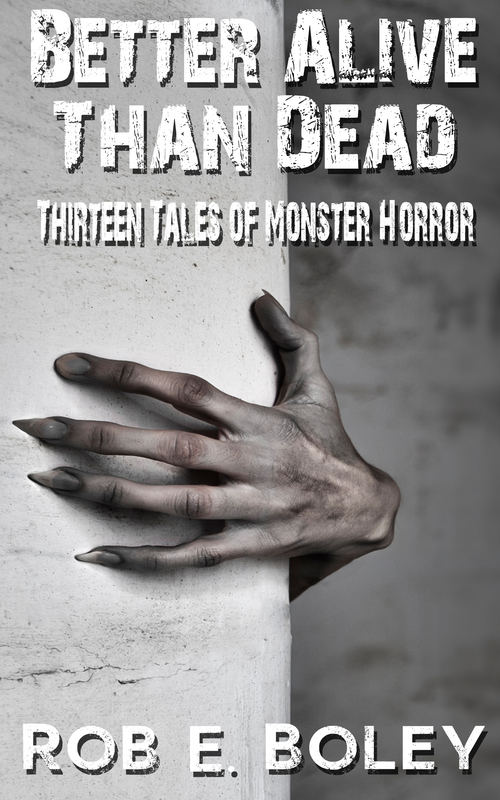 Rob Boley strikes the perfect balance of depth, drama, and dark humor to keep readers devouring the pages and leave them hungering for more.